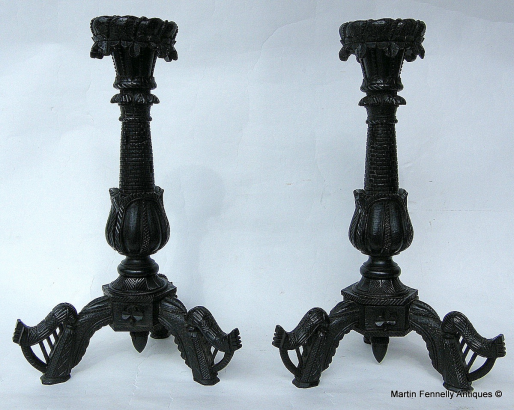 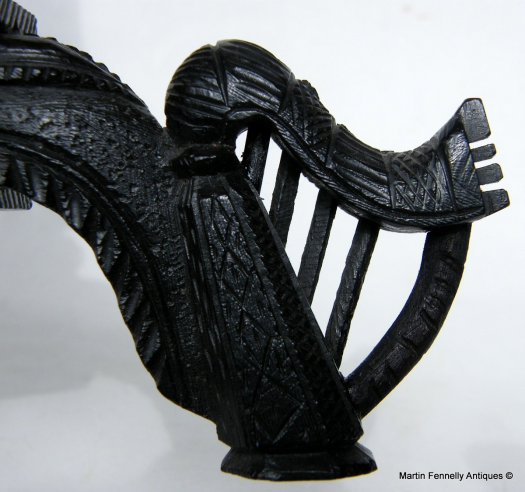 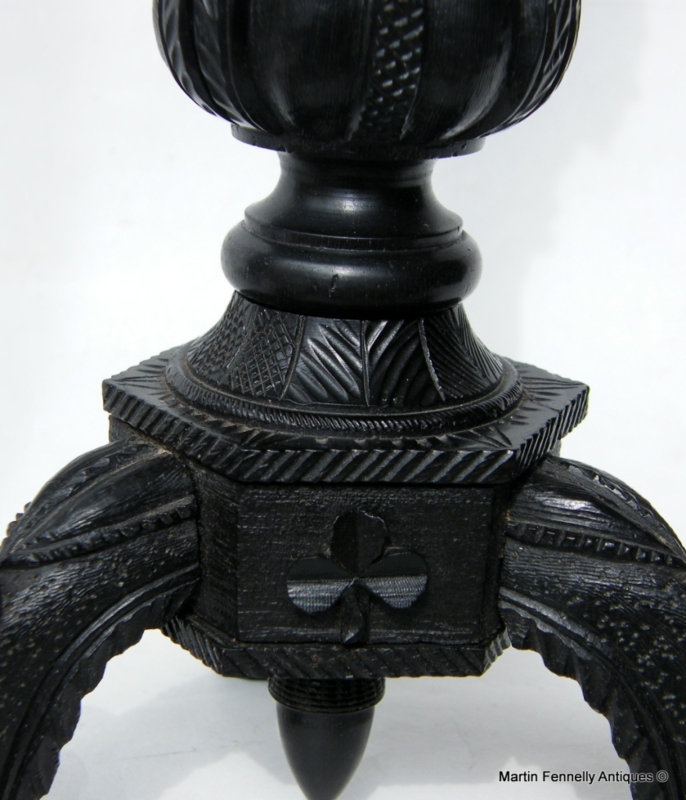 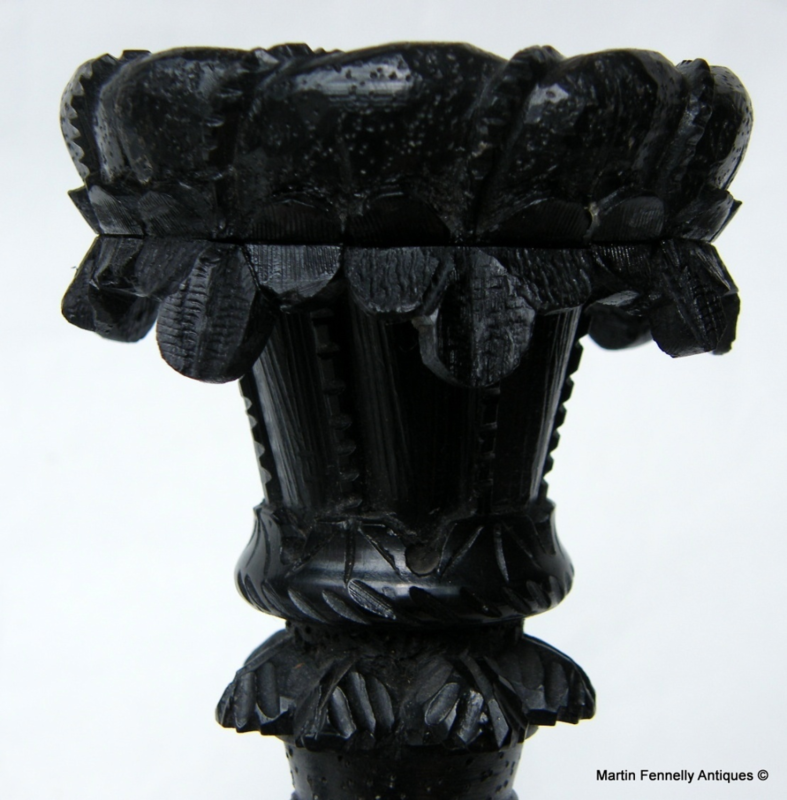 Superb Pair of Nineteenth Century Hand Carved Irish Bog Oak Single Light Candlesticks of unusually large proportions, possibly the work of Cornelius Goggin. 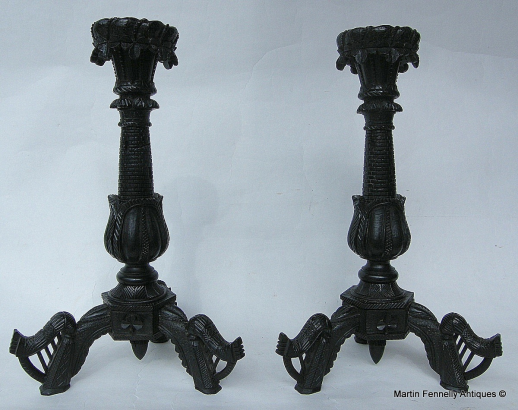 Height: (an impressive) 13.25" (34cm). 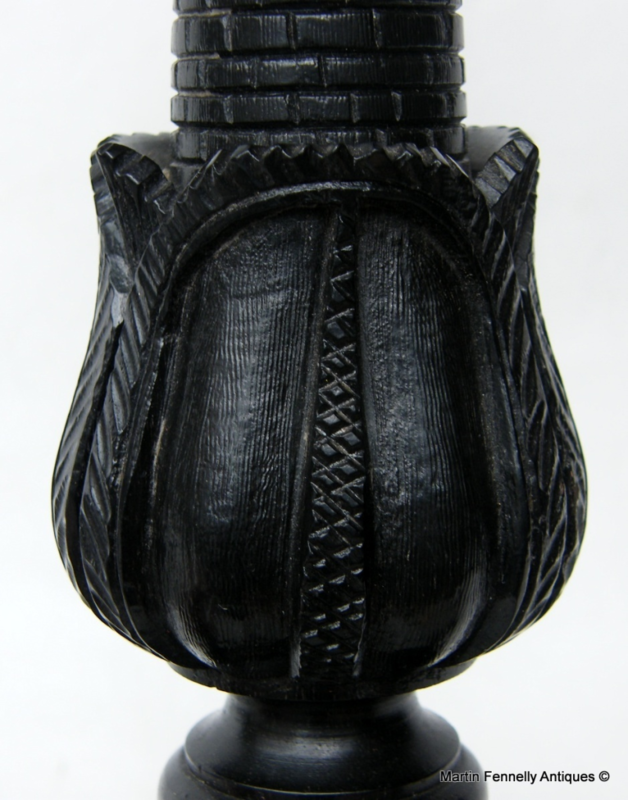 Base width: 7.5" (19cm).